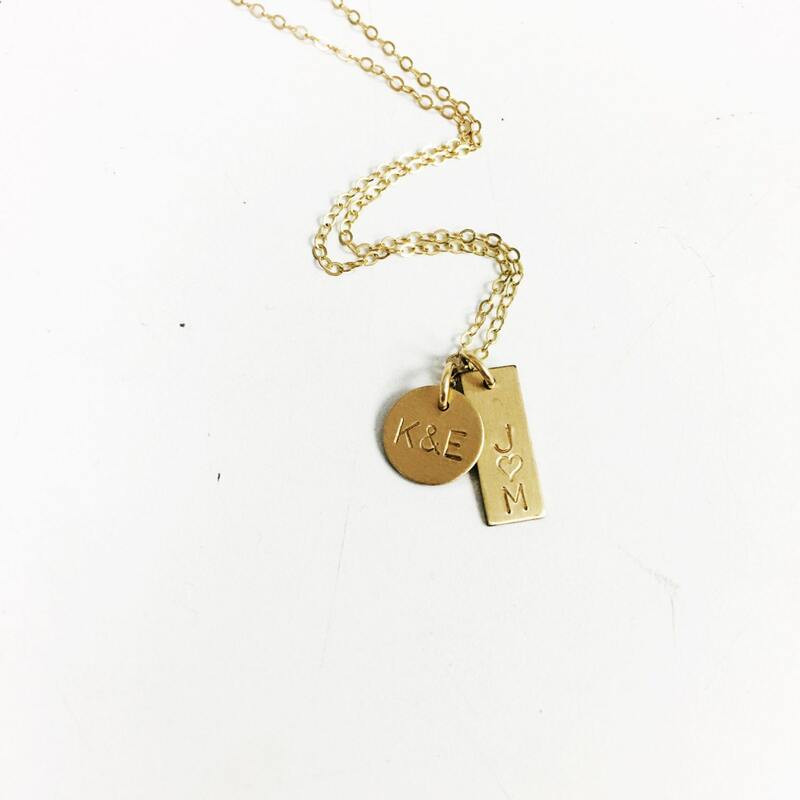 The perfect dainty personalized necklace! 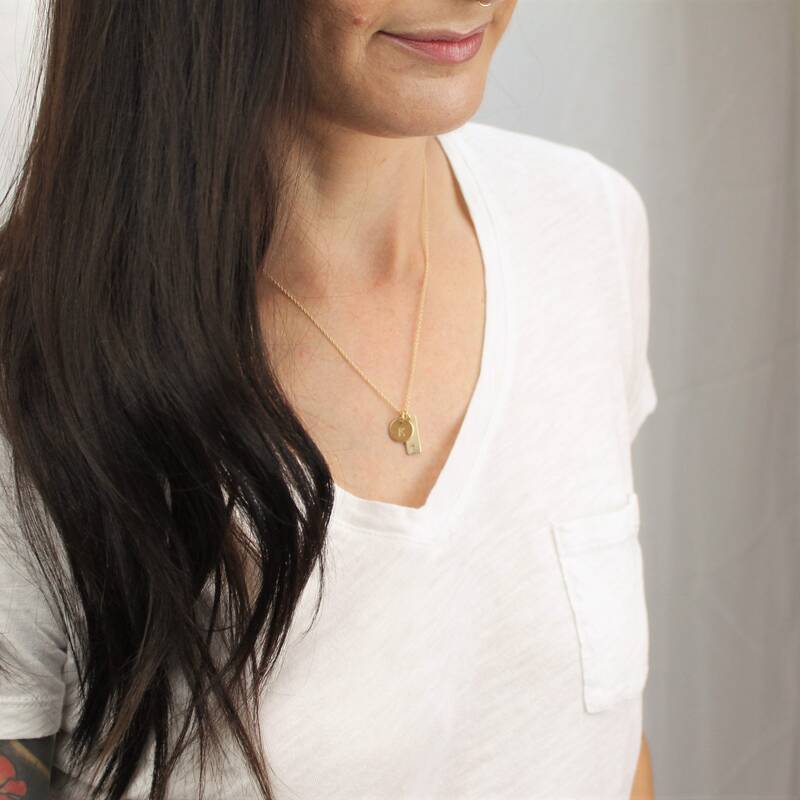 Create your own special necklace to wear close to your heart. Choose sterling silver, 14 kt gold filled or rose gold filled. The perfectly classic way to add a little something special to your everyday. 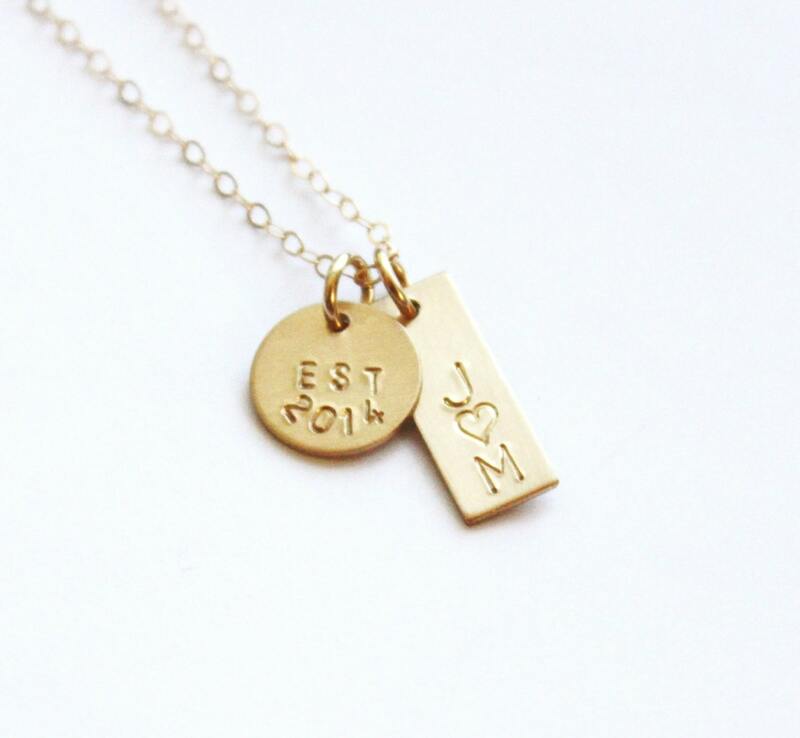 -Disc can be hand stamped with an initial, est year, or 2 initials with a heart, + or & sign. 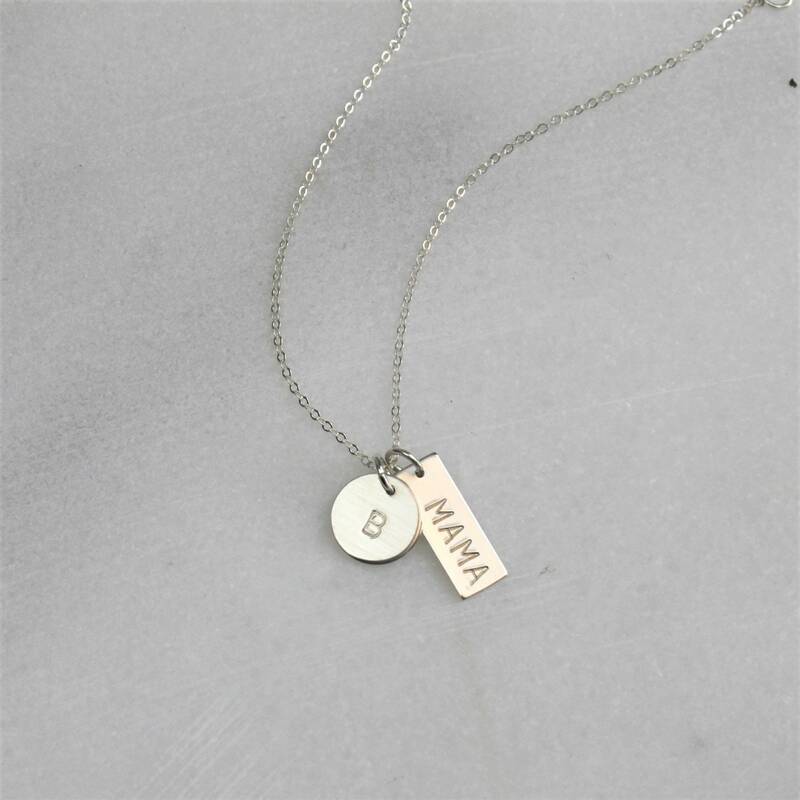 -Vertical bar with and initial, or two initials with a heart or mama. -kindly leave your details in the personalized details note box above. The necklace I ordered is beautiful! She had it sent out within a week. Fast and easy! Very happy with the quality as well. I had ordered a necklace similar from another shop and it was terrible! This shop was referred to me and I will continue to use her for other products she has offered. 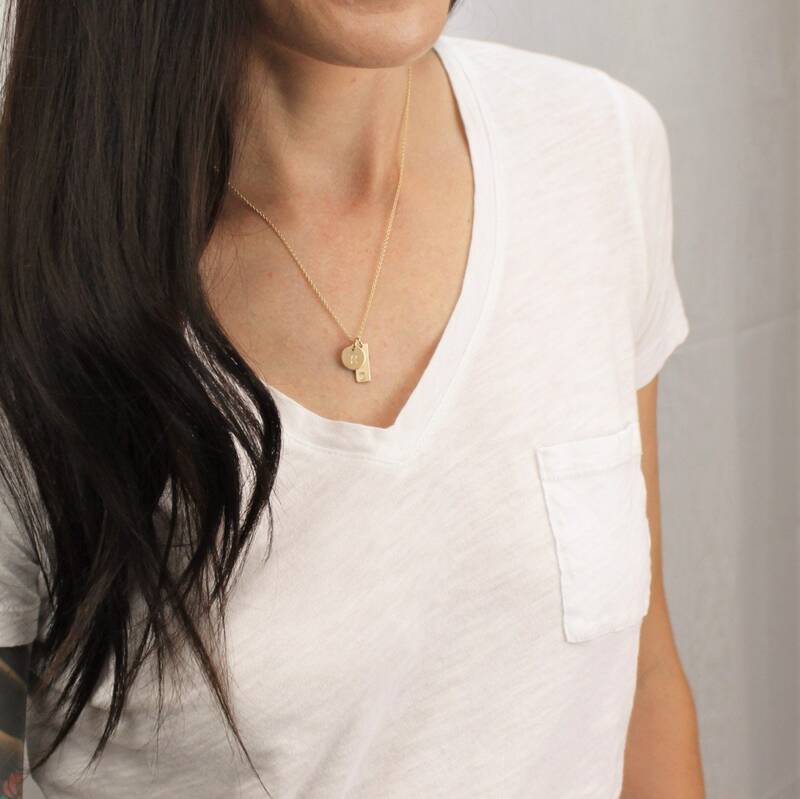 I am in love with the personalized necklace I purchased! It's exactly what I wanted, and I'm really happy with how delicate the chain is.